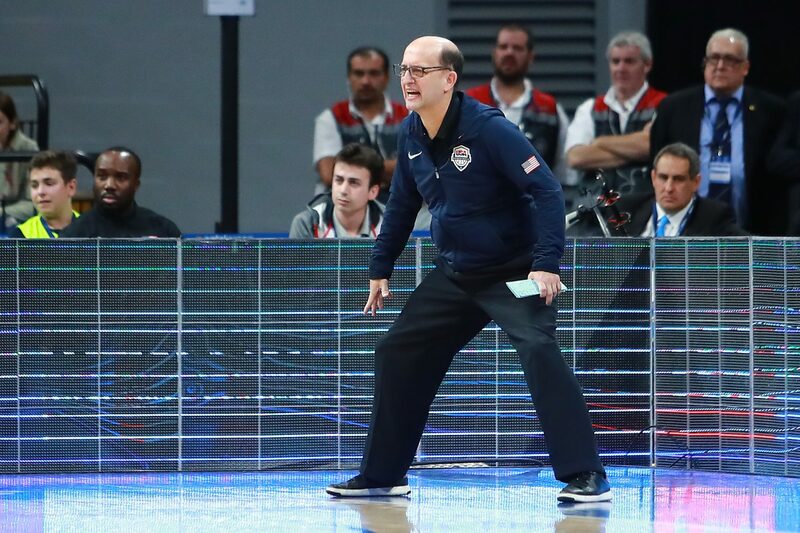 Head coach Jeff Van Gundy of USA reacts during a match between Uruguay and USA as part of Group E of FIBA Americas Qualifiers for China 2019 FIBA World Cup. 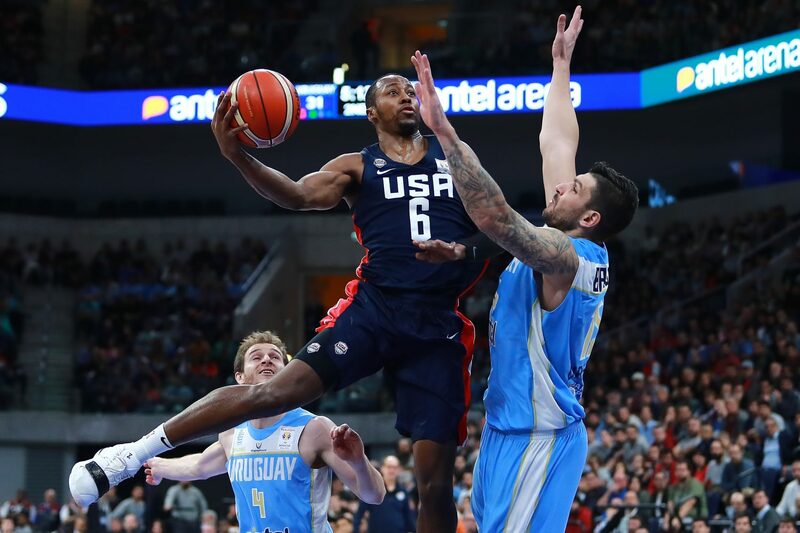 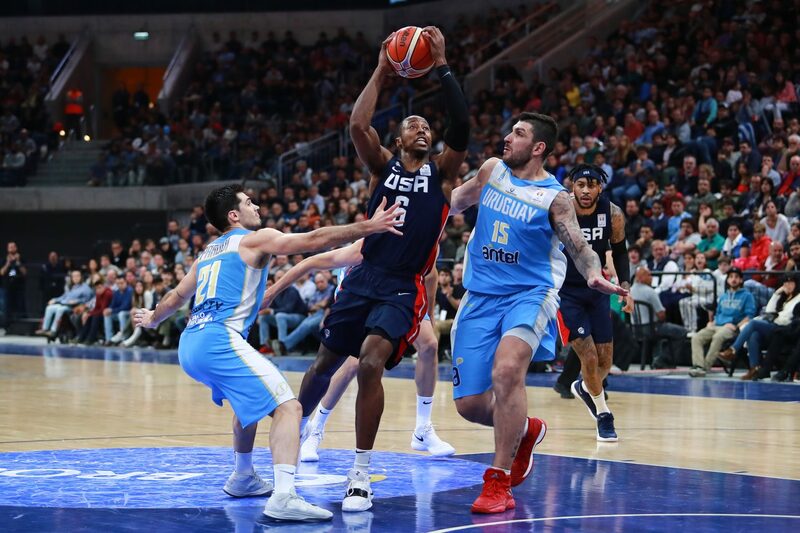 Scotty Hopson of USA handles the ball against Esteban Batista of Uruguay during a match between Uruguay and USA as part of Group E of FIBA Americas Qualifiers for China 2019 FIBA World Cup at Antel Arena. 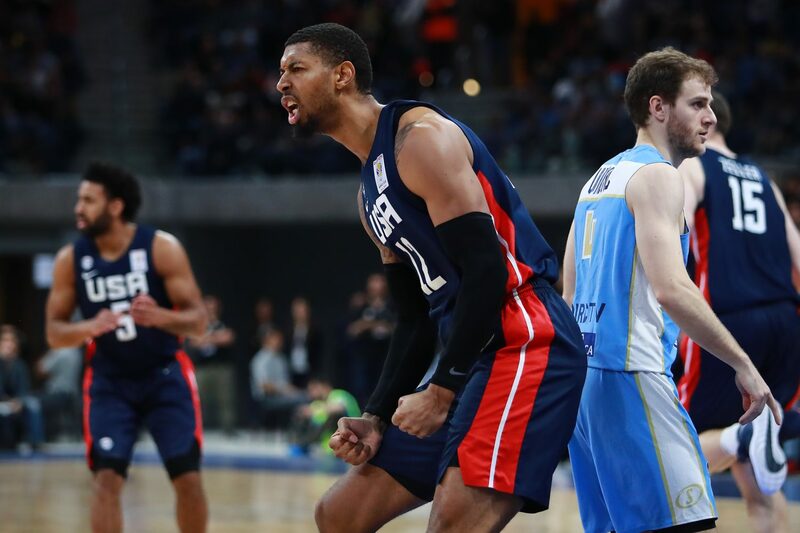 Richard Solomon III of USA celebrates after scoring during a match between Uruguay and USA as part of Group E of FIBA Americas Qualifiers for China 2019 FIBA World Cup at Antel Arena. 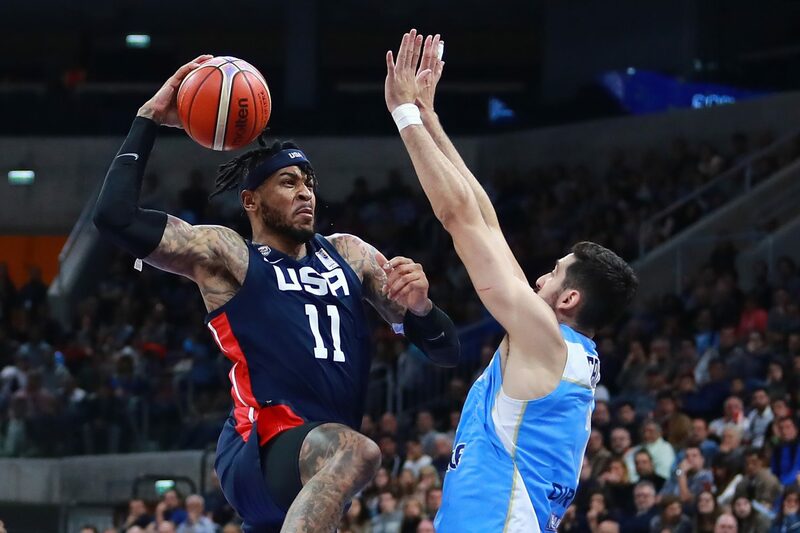 Eric Moreland of USA handles the ball against Mathias Calfani of Uruguay during a match between Uruguay and USA as part of Group E of FIBA Americas Qualifiers for China 2019 FIBA World Cup at Antel Arena. 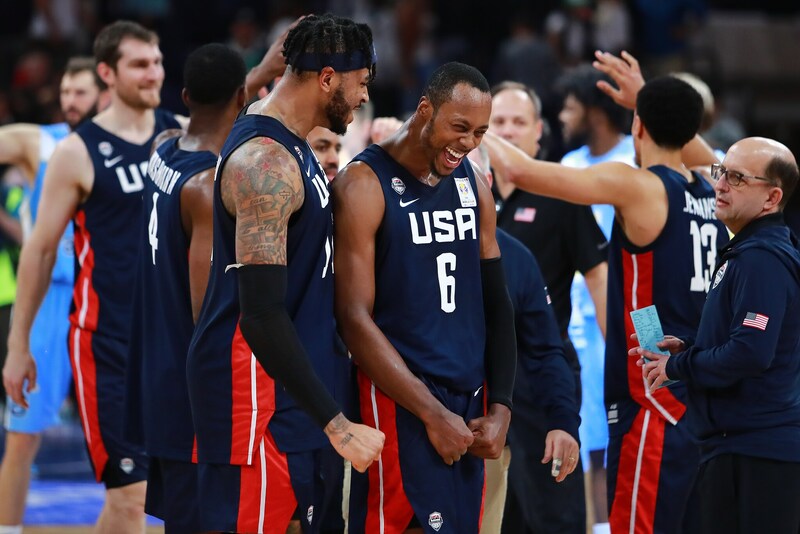 Scotty Hopson and Eric Moreland of USA celebrate after winning a match between Uruguay and USA as part of Group E of FIBA Americas Qualifiers for China 2019 FIBA World Cup at Antel Arena. 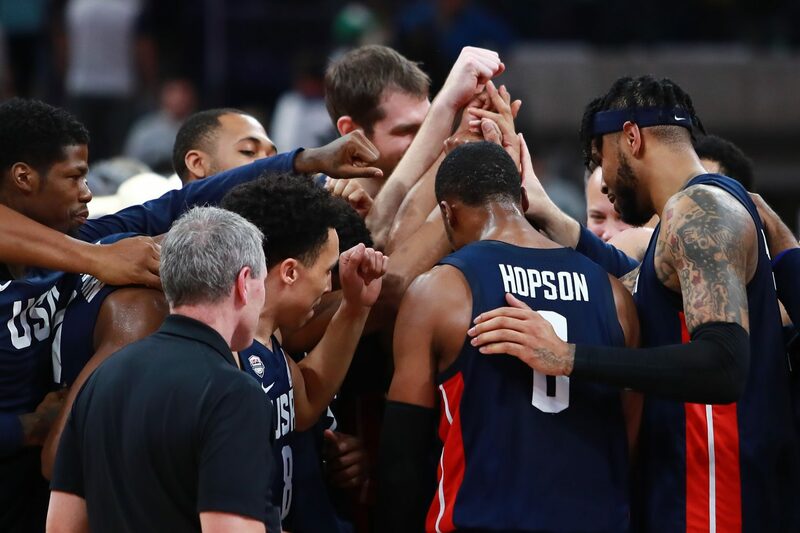 Players of USA celebrate after winning a match between Uruguay and USA as part of Group E of FIBA Americas Qualifiers for China 2019 FIBA World Cup at Antel Arena. 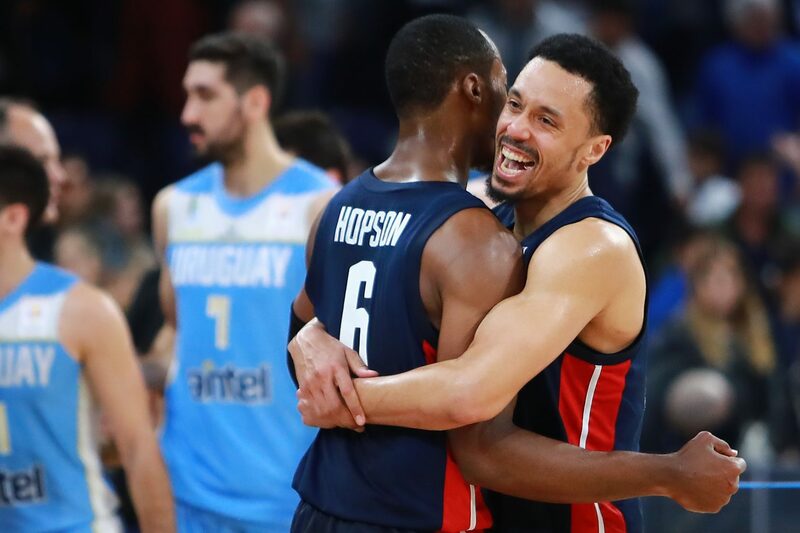 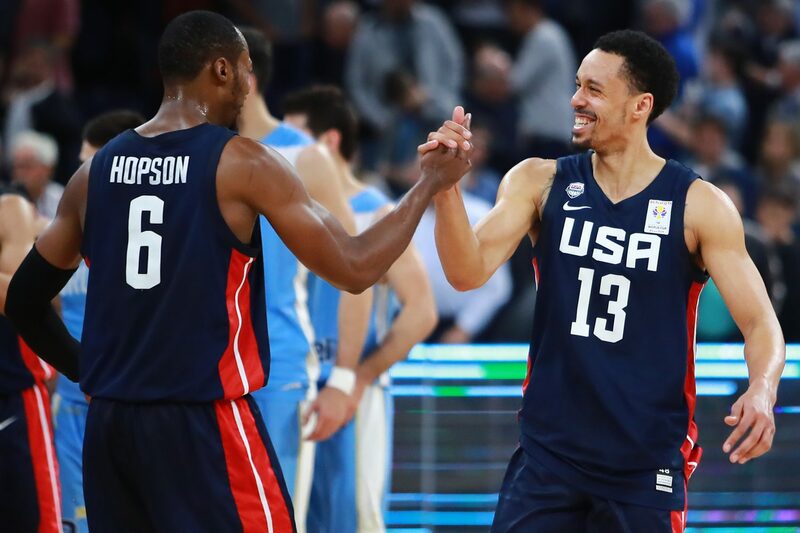 John Jenkins and Scotty Hopson of USA celebrate after winning a match between Uruguay and USA as part of Group E of FIBA Americas Qualifiers for China 2019 FIBA World Cup at Antel Arena. 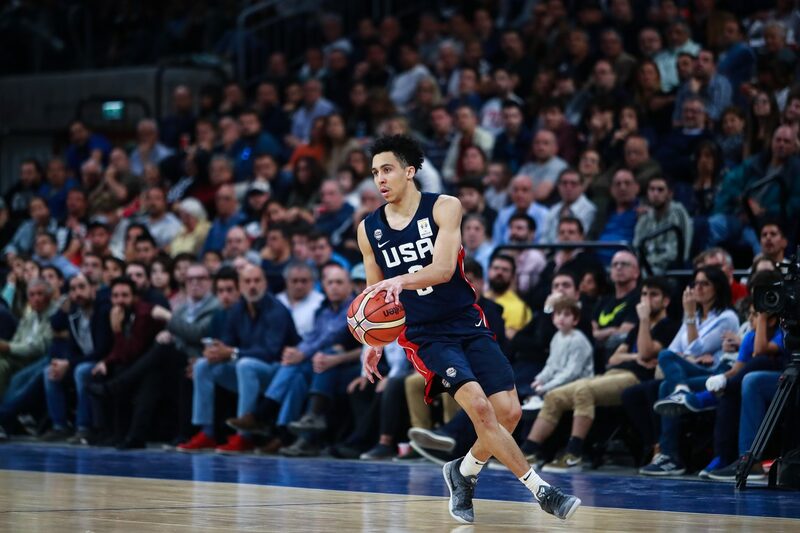 Travis Trice of USA handles the ball during a match between Uruguay and USA as part of Group E of FIBA Americas Qualifiers for China 2019 FIBA World Cup. 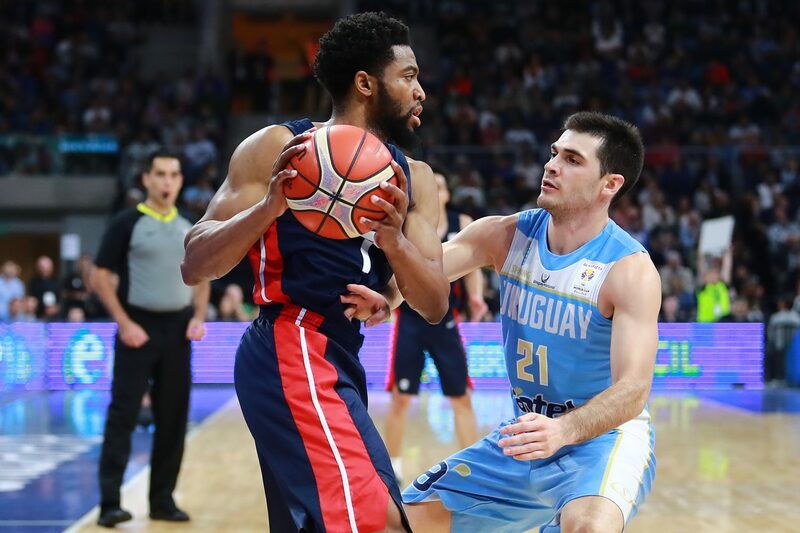 Chasson Randle handles the ball against Luciano Parodi of Uruguay during a match between Uruguay and USA as part of Group E of FIBA Americas Qualifiers for China 2019 FIBA World Cup at Antel Arena. 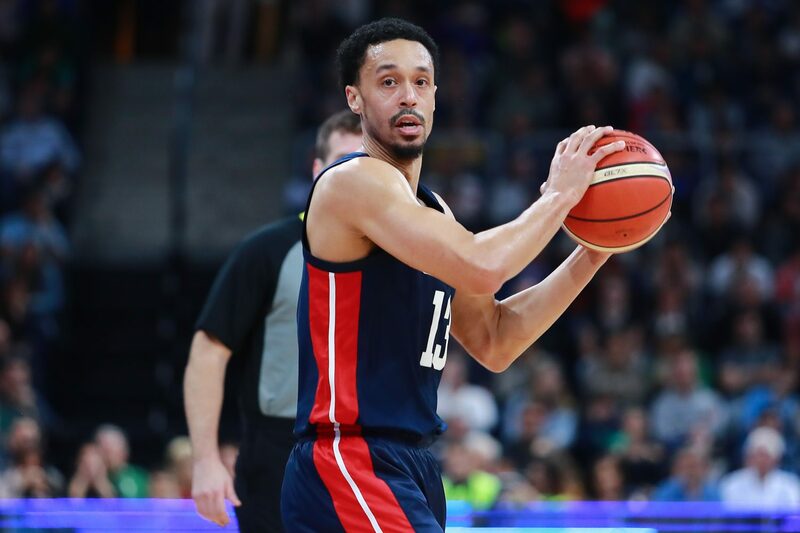 John Jenkins of USA looks for an open teammate. 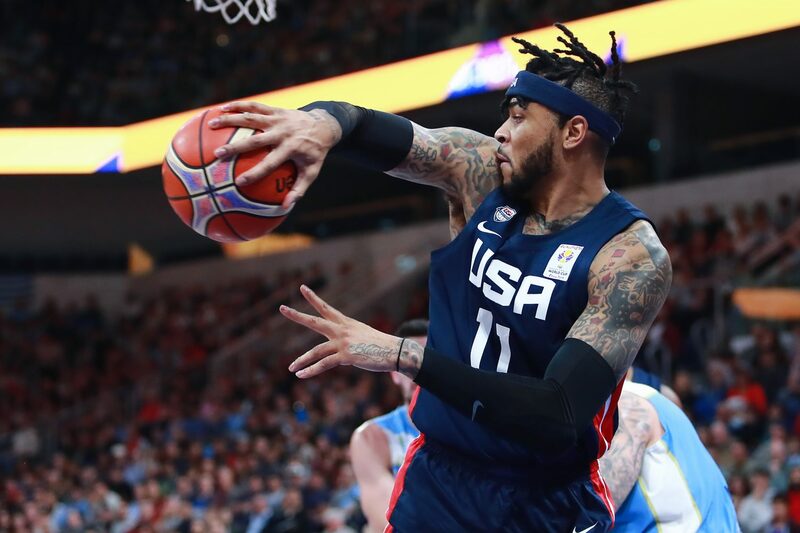 Eric Moreland of USA passes the ball during a match between Uruguay and USA as part of Group E of FIBA Americas Qualifiers for China 2019 FIBA World Cup at Antel Arena.